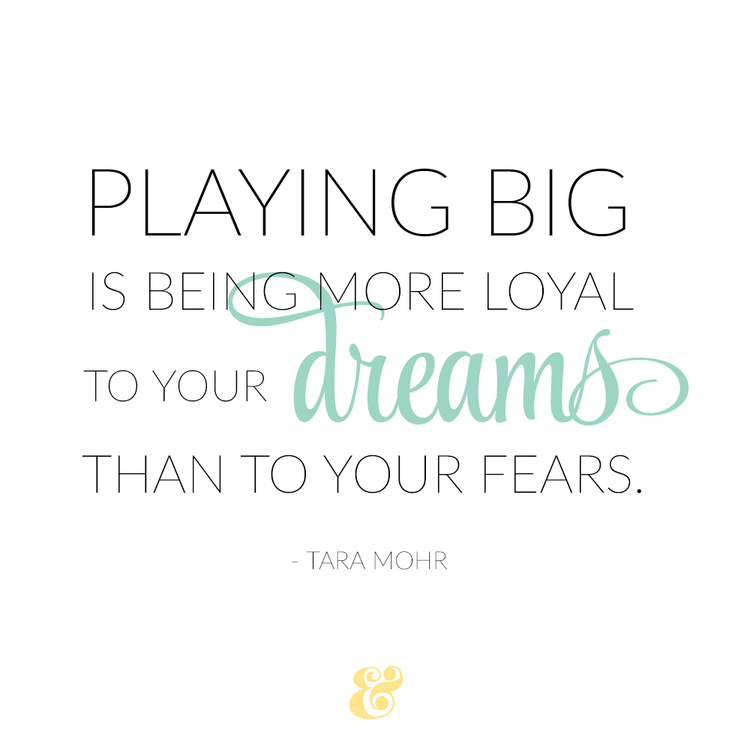 As part of my ongoing Be a Better Liz work, I’m currently taking Tara Mohr’s Playing Big facilitators training. It’s a program designed for current or aspiring coaches and advisers, and it focuses on helping women find the places where fear and self-doubt prevent taking risks and going after the big ideas or projects their hearts are called to do. The first step of Tara’s “playing big” process comes in identifying where the voices in our heads hold us back. Calling out my “inner critic,” as she calls that voice, dovetails nicely with so much of the work I’ve been doing over the last two years. As I’ve come to understand how unmoored from reality my inner critic truly is, I’ve found it so much easier to turn down her volume. My inner life is significantly happier and quieter. But it’s the second step of playing BIG that has fundamentally shifted my awareness of who I truly am — and, critically, who I truly wish to be. That work Tara calls finding your “inner mentor,” or your future self. In a guided, meditative visualization exercise in last week’s group call, I visualized meeting the Liz who lives 20 years into the future. I asked my older self what I need now, to get from here to there. What mattered most to her in the previous 20 years. What I need to know as I travel my life’s path. I’m decidedly NOT (!!) ‘woo woo,’ but this visualization exercise was enormously powerful … far, FAR more so than I could’ve possibly anticipated. (NOTE: If you’d like to try this exercise, you can get an audio file of the guided visualization, along with a few other goodies, here: www.taramohr.com/pbbookmaterials/.) My future self has a serenity that just overwhelms you from the very moment you meet. She smiles easily, welcomes you in, and so clearly cares. She has the peaceful air of someone grateful to be alive. Ever since my high school friends and I were forced to confront our mortality, the precarious line between life and death, I’ve tried to live my life grateful for each day I’m given. I want the death of my dear friend before she could even set out into the world to be meaningful, in that it inspired me (and, hopefully, the others who knew her best) to live my life more fully and more gratefully than I might have otherwise. I try not to leave the harder conversations for later. I let the specter of future regret guide a lot of my decision-making. So, carpe diem is a phrase my inner voices go to regularly. 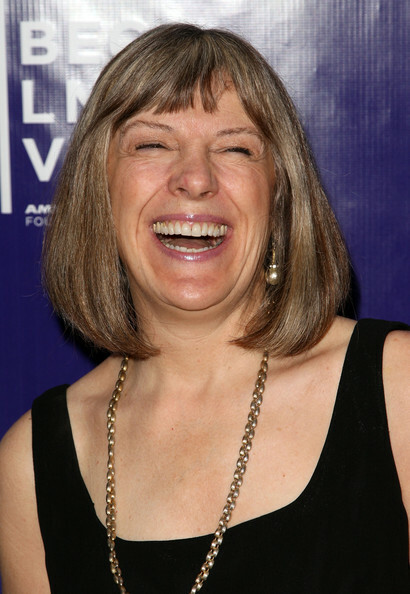 My inner mentor looked a lot like Mimi Kennedy. And she was happy, like Mimi in this photo. Visualizing my future self is not the same. It’s not about the little things — whether to take a trip at the holidays, or write a letter to a friend, or some other fairly small choice. No, the future self, the inner mentor, she has a far wider lens to take in the world. She has the innate wisdom that seems to come with age. She has lived. She has loved. She has experienced life, in all its ups and downs. And she is filled, to the brim, with joy. This work is so incredibly powerful, and in a year or so, I’ll be bringing all I’m learning into a necessarily small coaching practice, helping women like 2017 Liz … or 2015 Liz … or 2008 Liz … or … well. You get the point.